I once made a silly mistake of not checking the peak travel season of Japan and booked discounted tickets to Osaka. Little did I know that my travelling dates were right in the middle of Japan’s Golden Week holiday. To make matters worse, it also coincided with China’s Labour Day holidays! No prizes for guessing who had a great time in Japan. I ended up spending more time avoiding people and the many selfie sticks shoved in the direction of my face. After that fateful trip, I made sure to ALWAYS check the peak and non-peak travel seasons of the countries I intend to visit. It will be counter-productive if your holiday clashes with the destination’s national holidays or summer break — you’ll end up spending more money and squeezing with the crowds. To save you the headache and money, here are the best times travel to 9 of the most popular holiday destinations amongst Singaporeans, plus some budget hacks you need to know! By the way, UOB Cards and Expedia is having an exclusive deal from now till 25 October 2017*. Book directly with an airline company using your UOB Card and receive up to S$200 worth of Expedia hotel vouchers. Find out more at www.uob.com.sg/stayforless. During these months, you can expect good bargains everywhere. Hotel rates are the lowest during this period of the year, and so are prices in shopping malls. But do bring along an umbrella, as this is also Bangkok’s monsoon season. Rains will be frequent, and due to increased humidity, temperatures can soar as high as 35ºC. However, rainstorms are usually short, and you’ll still be able to catch the sun in the day. 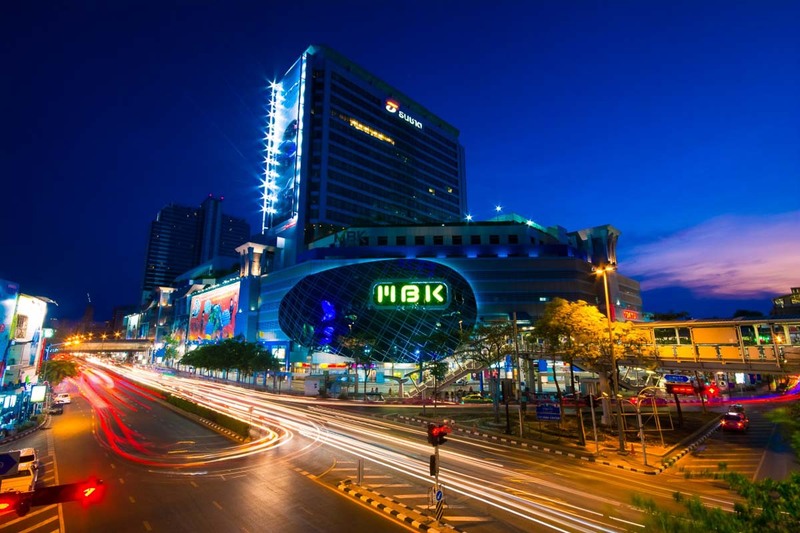 This means it’s a great time to head to Bangkok for a shopping spree! 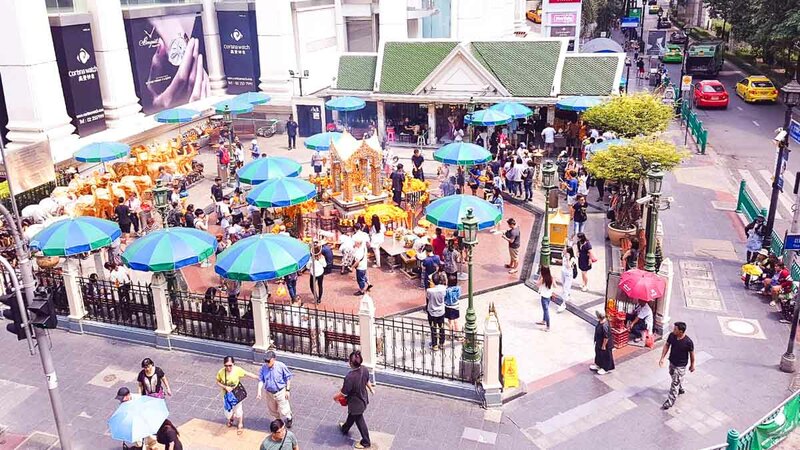 There’s no need to fear the rain since you’ll be spending most of your time indoors at shopping malls such as Platinum Mall, MBK, Siam Paragon or Central World. *Travel Savings Hack: Several cinemas offer cheaper movie tickets at around 100 Baht per ticket on Wednesdays, as compared to 220 Baht on other days. Where to stay: Bangkok Palace Hotel via Expedia, from S$65 per night. 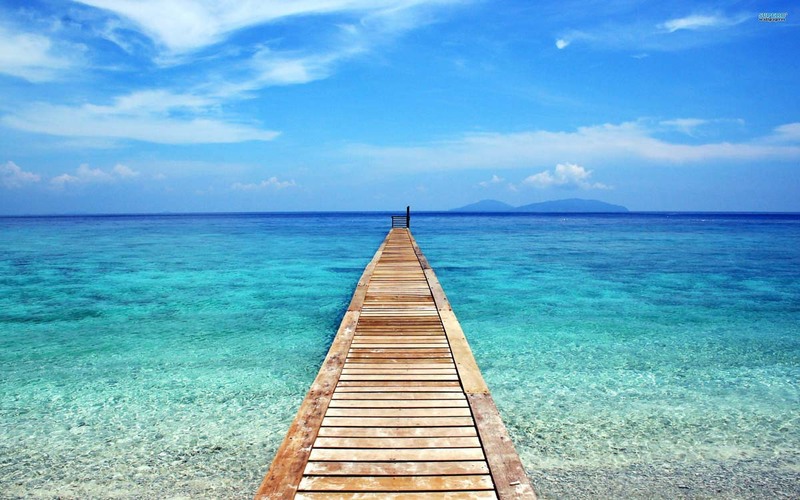 The best time to visit Bali has to be the months of April to June, and September. During these periods, Bali is still relatively dry as monsoons only hit from October onwards. Resorts and villas can be up to 50% cheaper than during the peak seasons of July-August, and December-January. Many shops will roll out promotions, while restaurants will be less crowded as well. 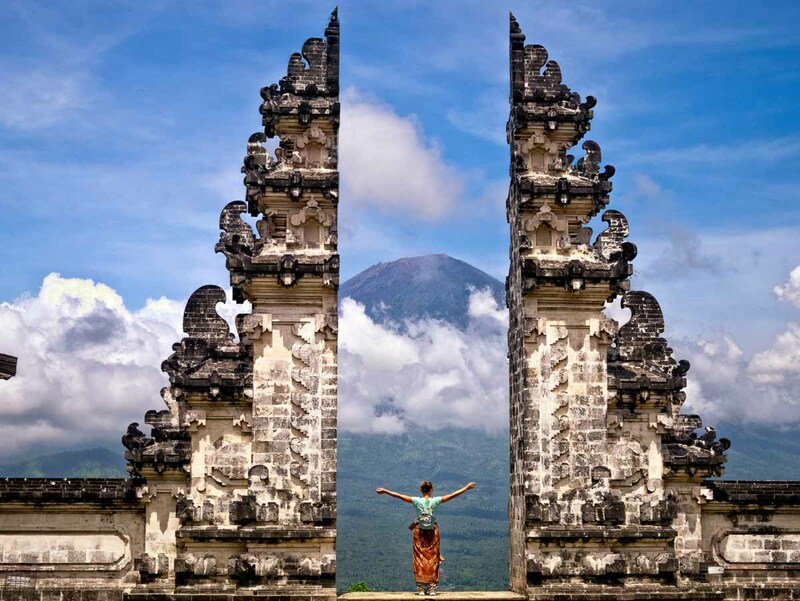 The Travel Intern has covered Bali extensively during one of our ambassador’s boot camp. If you’re heading to Bali anytime soon, get inspired and discover lesser-known sides of Bali with our 7-day Bali itinerary. Bali is also a photographer’s haven, here’s a guide to 15 secret locations in Bali for the perfect Instagram backdrop — at almost no cost at all! *Travel Savings Hack: Bring cash with you. Not only because ATMs aren’t common in Bali, but also because paying in cash means you get to haggle before paying. Where to stay: The Kana Kuta Hotel via Expedia, from S$80 per night. Get some better deals at the hotels and hostels in Penang when you visit during the lower peak period between May to October. A word of caution though, there might be rain or even haze due to deforestation activities from neighbouring Sumatra and Borneo. Otherwise, Penang is still the same food haven as we know all year round. 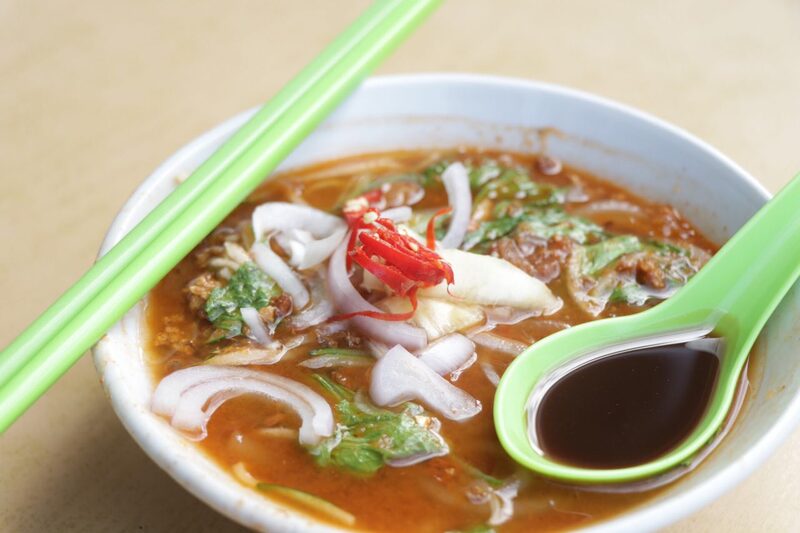 Do check out our Penang Foodie’s Itinerary and Guide to Authentic Street Food in Penang if you are planning a trip to Penang! Do note that Penang has a couple of unique state holidays which fall in the lower peak season period. On those days, shops in Penang will be closed and Georgetown might be eerily quiet. Check out the holiday dates and avoid any disappointment whilst visiting Penang. *Travel Savings Hack: Rent a bike in Georgetown for RM10 and explore the historical town on two-wheels! Cheap and efficient, cycling is really the most practical way to cover Georgetown and all its amazing sights and tastes. 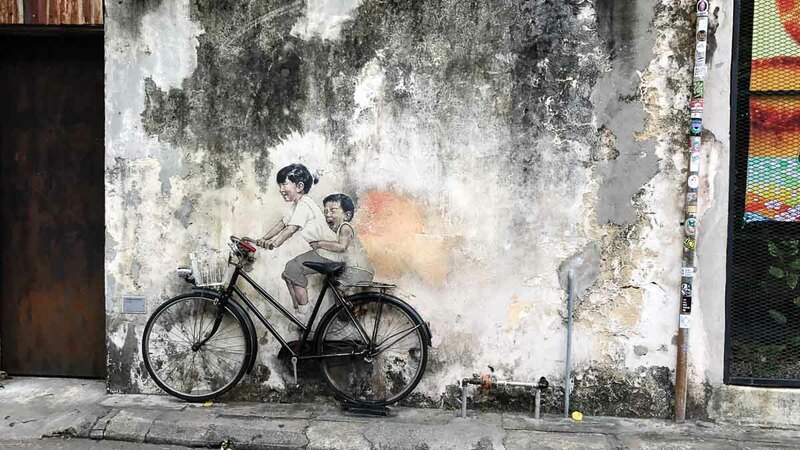 Check out this guide to exploring Penang’s Georgetown on a bicycle. Where to stay: Jawi Peranakan Mansion via Expedia, from S$90 per night. Non-peak (best time to travel): January, March, April, August, September, November and December. 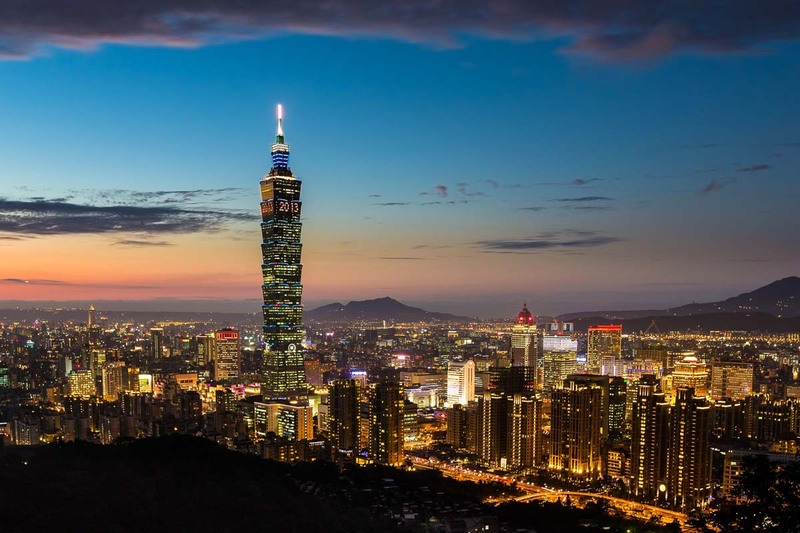 The months of November through March are a nice time to visit Taipei when temperatures are low. If you are lucky, you may even spot the blooming cherry blossoms in late March. From August to September, summer comes and Taipei is usually hot and humid with temperatures reaching 35°C. Staying indoors or cooling down with their famous shaved ice desserts will definitely help with the heat. 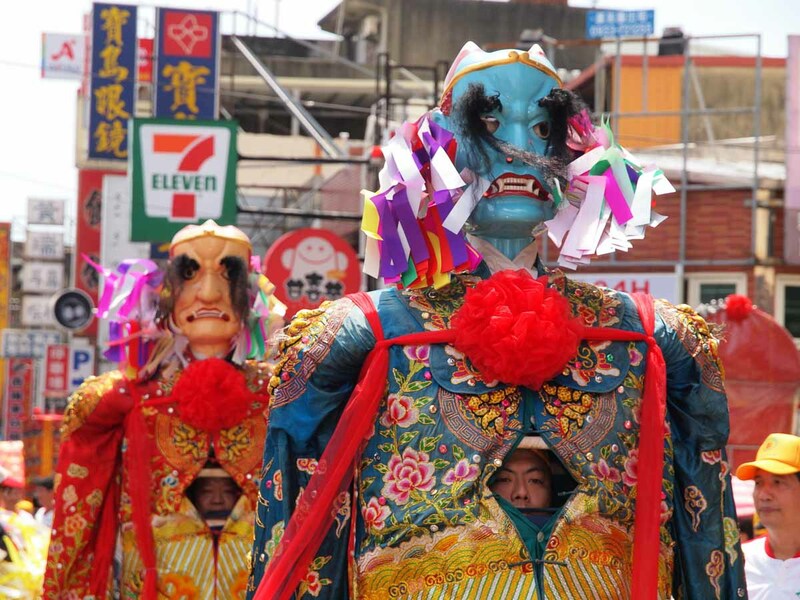 During that same period, Taiwan observes the Hungry Ghost Festival. Elaborate rituals fill the city and are quite an eye-opener. As Taiwanese generally do not travel during the Hungry Ghost Month, hotel rates tend to be low. However, do note that Taiwan experiences typhoon activities annually between July to September. Do stay up to date with the weather forecast! *Travel Savings Hack: Once you have confirmed your flight tickets from Singapore to Taiwan, check out if there are any freebies for redemption at the Taiwan Tourism Bureau in Singapore. Freebies that are usually given out include MRT passes and travel vouchers. Where to stay: Chill Roof Hotel via Expedia, from S$110 per night. Japan is a travel destination well-loved by tourists all year round, so there might not really be an obvious low-peak season. Although the obvious would be to avoid visiting Japan during spring when cherry blossoms bloom and cover entire streets in pink – super pretty, but insanely crowded. During late autumn through March though, tourist crowds start to lighten. 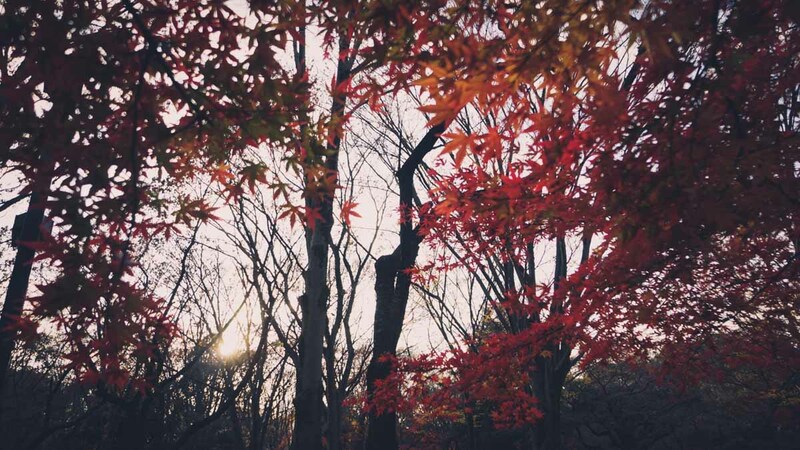 Japan is exceptionally beautiful in autumn, when the leaves turn red and start to fall. 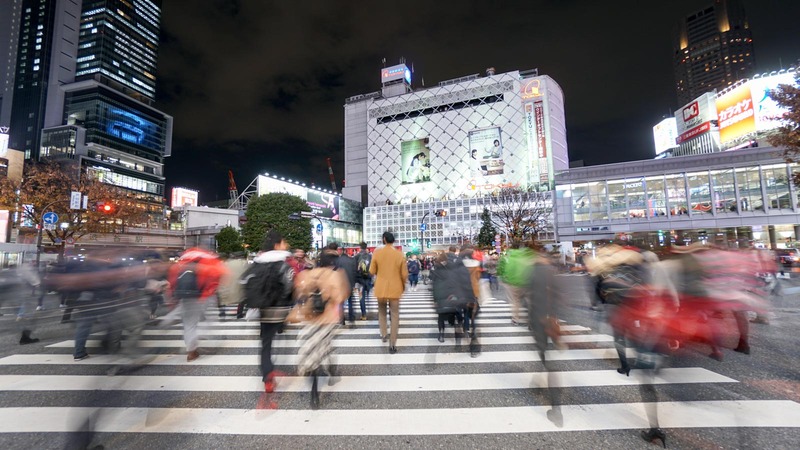 It is wise, though, to watch out for other peak periods, such as the Golden Week holidays (29 Apr – 5 May), when local tourists from other prefectures flock into Tokyo as well. *Travel Savings Hack: Get a JR Pass. If you are travelling beyond Tokyo to different cities such as Osaka, Kyoto, Hiroshima, etc. during your trip, getting the JR Pass will save you a lot of money as compared to buying separate tickets. Read our comprehensive JR Pass guide to find out more. Where to stay: Richmond Hotel Tokyo Mejiro via Expedia, from S$118 per night. 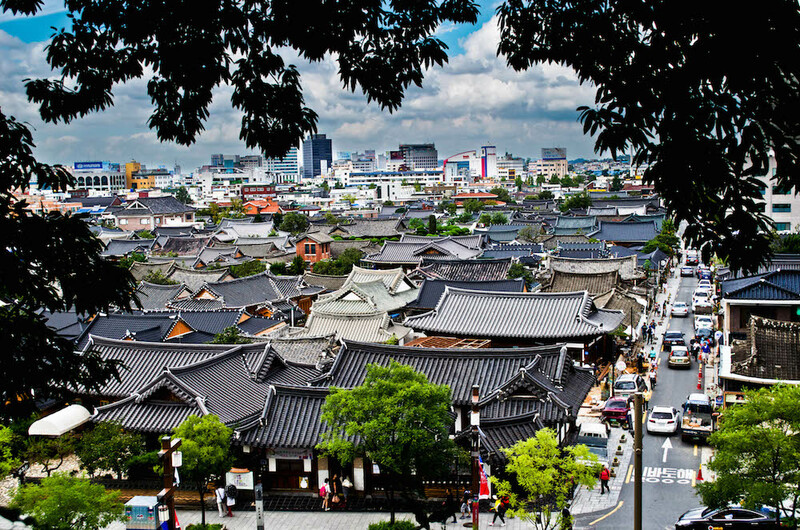 Seoul has been a popular destination among tourists for years, primarily due to Korean drama and KPOP influences. The metropolitan city is always packed with tourists from all over the world all year round. There is, however, a sweet pocket of time when crowds are typically smaller, and that’s between September – November. Summer breaks are over, and locals visiting from other provinces return home. It is also the best season to visit Seoul as the weather is cool. 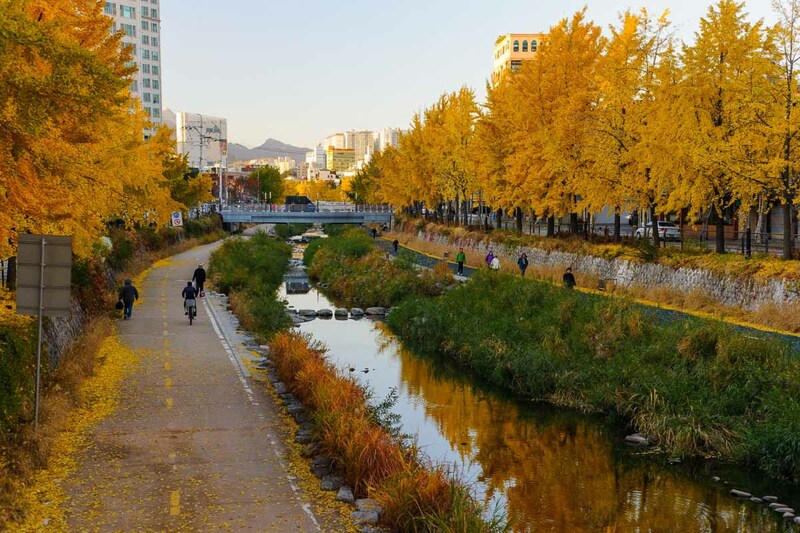 Take a relaxing stroll down Cheonggyecheon stream, and hear the brown foliages whistle against the autumn winds. Most people see Seoul as an expensive city, but we did manage to spend a week in South Korea for within a budget of S$800/pax! *Travel Savings Hack: Some major underground train stations in Seoul have underground shopping areas, and prices tend to run cheaper than malls or even popular shopping districts like Myeongdong. Where to stay: Lotte City Hotel Mapo via Expedia, from S$143 per night. Besides shopping, Seoul is also a food paradise! Check out our guide on 15 things you have to eat in Seoul. The lowest peak season of Australia would have to be during the winter months of June to August. Daylight is short, while berry farms and vineyards close as plants go into dormancy. Melbourne feels like a giant sleepy town during winter, perfect for those who love a relaxing holiday to unwind. You can still stroll along Melbourne’s beautiful coastal walks at St. Kilda and try to spot some penguins! Or simply enjoy aromatic cuppas at many of Melbourne’s famous cafes. 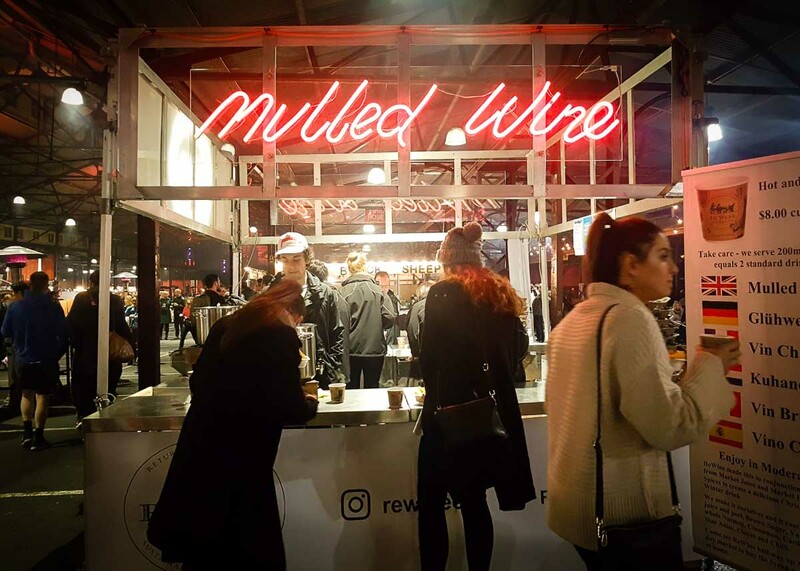 When night falls and the chills set in, warm yourself with a cup of mulled wine at a Winter Night Market. If you are feeling adventurous, rent a car and go on a road trip! 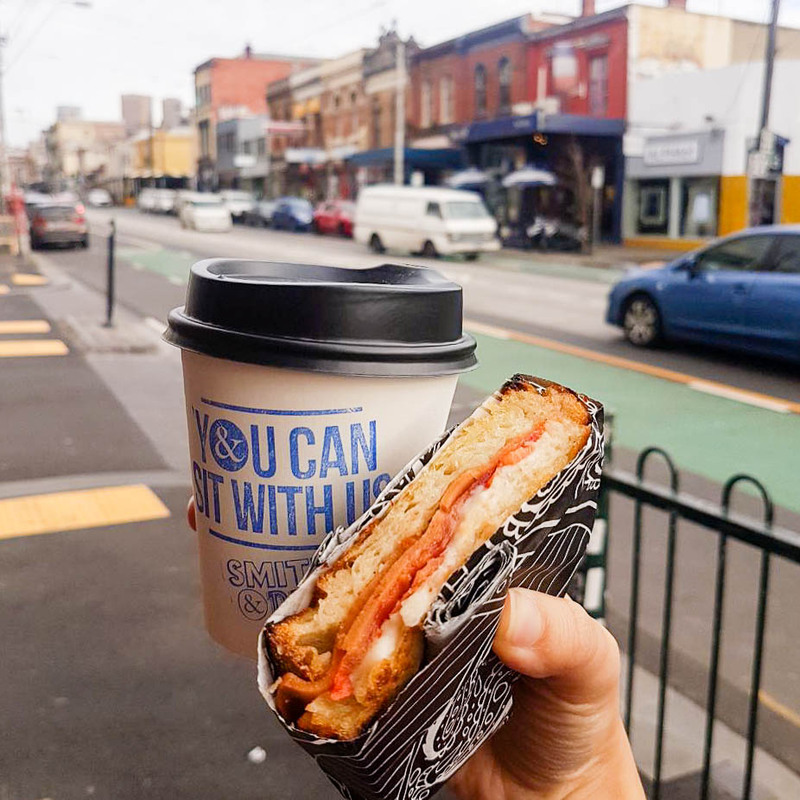 Be inspired by Rachel’s guide on some off the beaten path road trips in Melbourne. *Travel Savings Hack: There are many vintage / second-hand shops along Fitzroy Street in Melbourne. Slowly sift through the items and you might score good buys such as pre-loved genuine leather handbags at very low prices! Where to stay: Platinum City Serviced Apartments via Expedia, from S$157 per night. Low season is between the months of November to March, and outside of the Christmas holiday period. Airfares and hotel room rates are at their lowest during these times of the year when the weather is cooler, although high chances that London will be shrouded in rain clouds. 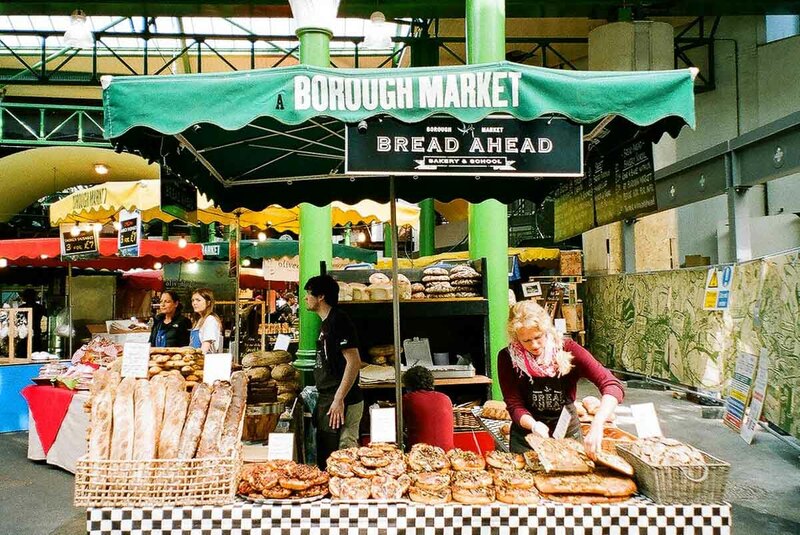 Arm yourself with a trusty brolly and hit the Borough Market in London! Besides having a wide array of local produce you can purchase, many shops also give out small bites for sampling. 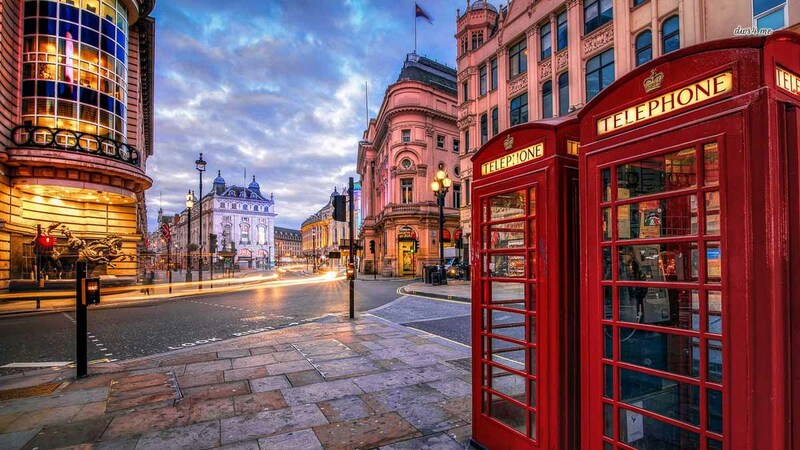 *Travel Savings Hack: Sign up for free walking tours around the city centre of London, covering major attractions sites such as the Covent Garden, Trafalgar Square, Buckingham Palace, Big Ben and Westminster Abbey. Where to stay: K+K Hotel George London via Expedia, from S$144 per night. 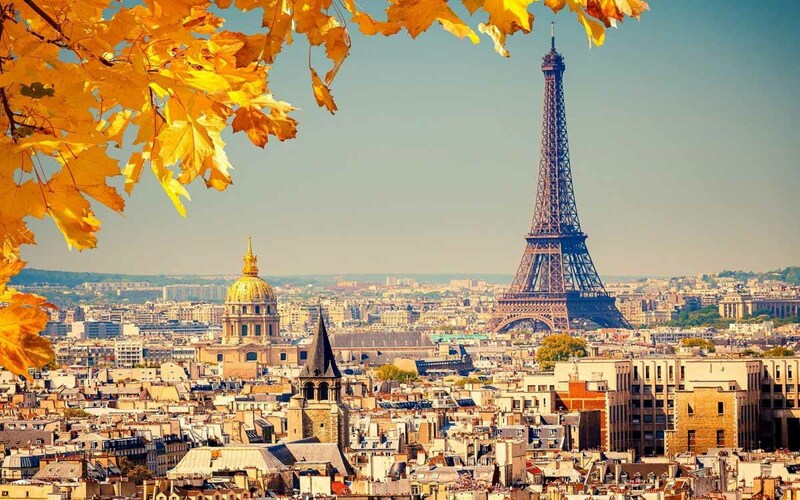 Prices for hotel and restaurants tend to creep high when Paris holds major events such as the Film Festival (April), Tour de France (July) and Fashion Week (September). 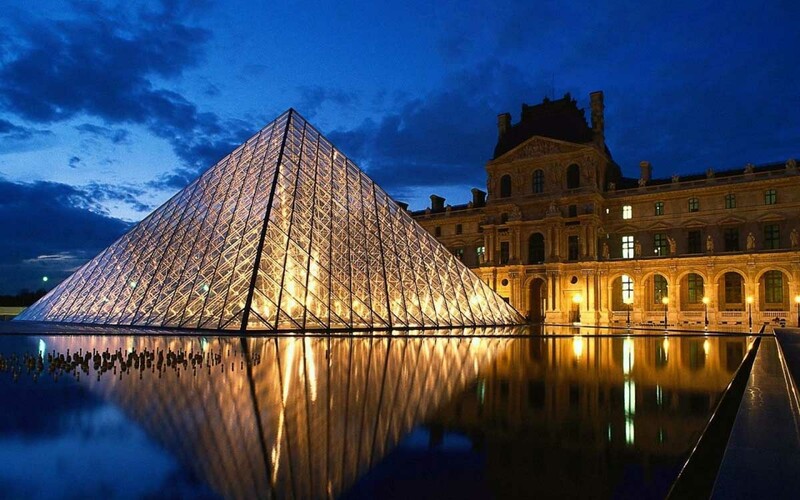 Also, places of attractions such as the Louvre, Château de Versailles and Sacré-Cœur will be packed like sardines during the summer months due to summer break. 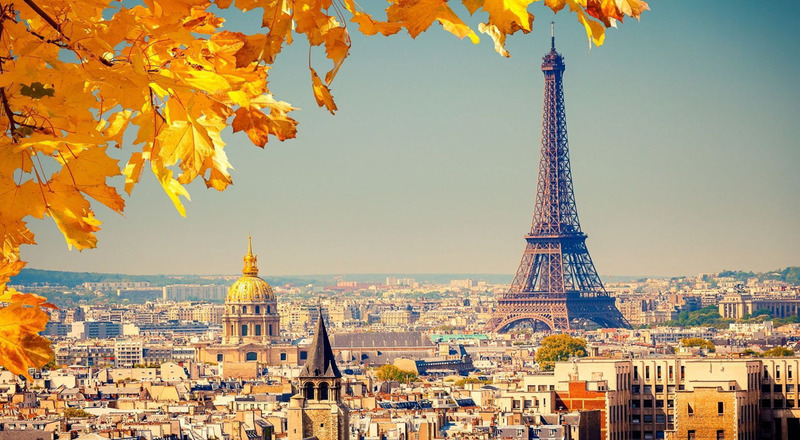 So, the best time to visit Paris will hence be during the cooling months of November through March when lines to museums are shorter, and you have fewer photo-bombers in your selfie with the Eiffel Tower. If you are on a tight budget but want to try an authentic French restaurant, try the Bouillon Chartier. This no-frills restaurant which is loved by locals is also my personal favourite. Mains are around €10, and house wines are as cheap as €2 per bottle. *Travel Savings Hack: Eating cheap is the one way to maximise savings while travelling in Paris. It’s not difficult to find Middle Eastern eateries in Paris selling big portions of grilled meat at less than €10, great deals for hungry tourists on a budget. Where to stay: Auberge Flora via Expedia, from S$181 per night. We hope you found the above budget hacks useful and learnt a few ways to maximise your savings on a holiday. From now till 25 October 2017*, book directly with an airline company using your UOB Card and receive up to S$200 worth of Expedia hotel vouchers with minimum spend of S$500 on your hotel booking, which will be sent directly to your mobile number registered with the bank in the form of a unique e-voucher code. Simply head to www.expedia.com.sg/uobstayforless with the code to make your hotel booking thereafter. Codes are valid while-stocks-last so start planning your dream getaway now! Find out more at www.uob.com.sg/stayforless. For example, booking a S$685 direct flight from Singapore to Tokyo via Delta Air Lines with a group of 3 friends (Total: S$2,055) will easily earn you a S$90 Expedia hotel voucher.